Check this out. Discovered this during the JT of 1930. I could not believe my ears. I got a sudden craze lately. After a friend gave me a cd containing Taiwanese drama, i suddenly became addicted to that kind of series. 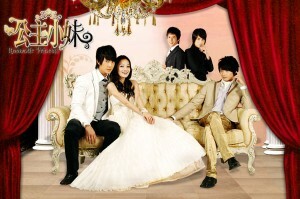 My first Taiwanese drama was romantic princess (Gong Zhu Xiao Mei). Its the story about a girl who was kidnapped when she was little and adopted by a poor family. Later on her grandfather who happens to be the richest man in Asia eventually found her and Xiao Mei is suddenly propelled in a new environment, where envy, lust, love and romance co exist. I found it rather entertaining spiced with some humourous scenes. The male leads are Wu Zun ( a famous model and singer in Asia) while Angela Zhang features as the female leads. So if you like soaps and romance, then i will advise to go for it. Taiwanese dramas are at par with Western ones, quality wise and suspense but with lots of humour and hilarious scenes. The drama was aired in 2007, so am quite behind. Better late than never. So did you watch any good Taiwanese dramas lately? Two high school friends, Yui Hongo and Miaka Yuki came across a book called The Universe of the four gods when they both decided to go to the National library for their revision to enter the competitive Jonan Academy. As a result of reading the book, they are both transported into the novel’s universe. 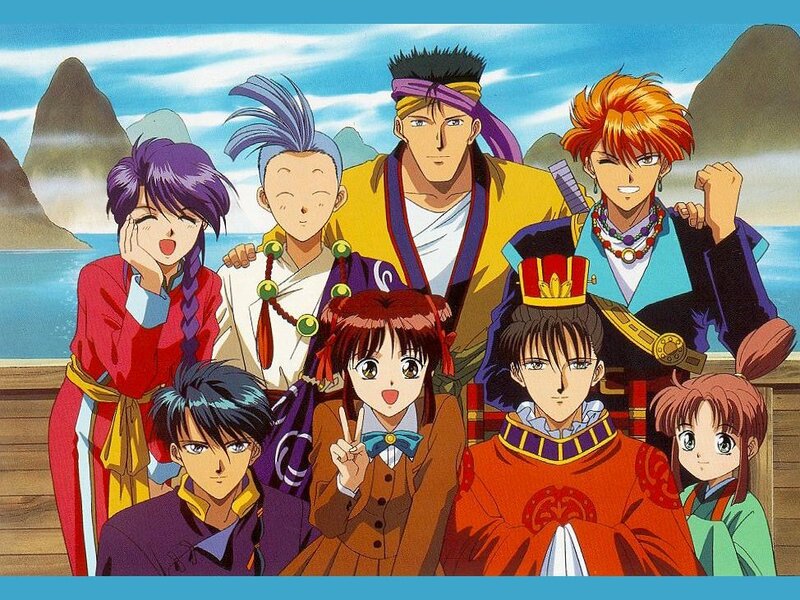 Inside the novel Miaka discovers that she is the Priestess of Suzaku and destined to gather the seven Celestial Warriors of the god Suzaku in order to summon Suzaku and obtain three wishes. She falls in love with the Celestial Warrior Tamahome, who eventually reciprocates. Miaka’s desire to use a wish to enter the high school of her choice begins to shift towards finding a way to be with Tamahome. Unfortunately, Yui, who is also drawn into the book, is quickly manipulated by the emperor of the land of Kutou into becoming the Priestess of Seiryuu and working against Miaka. As you must have noticed, it is about love, romance, friendship and drama also. I got hooked on this manga series which is also known as Fushigi Yuugi, a Japanese manga series written and illustrated by Yuu Watase. I am 3 episodes away of watching the end of the 52. Ok i reckon that i skipped some episodes for some were rather static. Worth watching and laughing guaranteed just like college fou fou fou. After that don’t know what manga to shift to. Sigh!!!! You are currently browsing the archives for the entertainment, tv category.